Genuine. Loyal. Down to Earth. Understanding. These attributes most accurately describe Dr. Crawford, and should be exactly what you look for in a plastic surgeon. Raised in rural Aiken, South Carolina, Dr. Crawford has extensive education and training in cosmetic and reconstructive surgery. 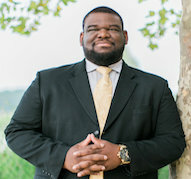 Kennesaw plastic surgeon Marcus Crawford attended Morehouse College on a full academic scholarship and graduated with honors before attending Baylor College of Medicine in the legendary Texas Medical Center. Prior to his medical education, Dr. Crawford spent summers during college performing polymers research at NASA research centers around the country. Following medical school graduation, Dr. Crawford stayed at Baylor College of Medicine to receive training in one of the most rigorous training programs in the country located in the largest medical center in the world. This program is home to the surgical pioneers who developed today's techniques and devices for breast augmentation. 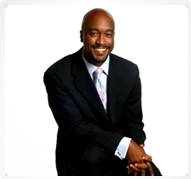 In addition to extensive training in all aspects of cosmetic surgery, Dr. Crawford received training in state-of-the-art reconstructive techniques at the world-renowned M.D. Anderson Cancer Center. Dr. Crawford's academic achievements include multiple peer reviewed articles, book chapters, and presentations to professional societies. He is board-certified by the American Board of Plastic Surgery and is an active member of the American Society of Plastic Surgeons, American College of Surgeons and Cobb County Medical Society. 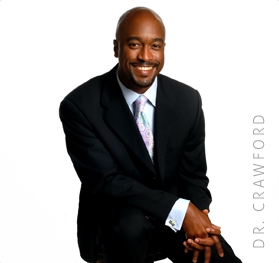 But more important than his academic or professional achievements is Dr. Crawford's ability to connect with our plastic surgery patients and make them feel at ease. His outstanding surgical results are only enhanced by his soothing bedside manner. Following a consultation, most patients are amazed at how comfortable they feel with Dr. Crawford, and how confident they are that he completely understands their desires. To schedule your cosmetic surgery consultation with a board certified plastic surgeon, contact Crawford Plastic Surgery today.